Taipei, Aug. 4 (CNA) Taiwan Semiconductor Manufacturing Co. (TSMC), the world's largest contract chipmaker, said Saturday that some of its production lines had suffered a computer virus attack but the damage was under control. In a statement posted on the Taiwan Stock Exchange (TWSE), where TSMC shares are traded, the chipmaker said part of its production equipment was attacked by computer viruses the previous evening. The chipmaker said the affected production lines were recovering and were expected to return to normal in one day. The statement was released by TSMC after local media reported Saturday that the chipmaker had been hacked, which led some of its production lines to grind to a halt. 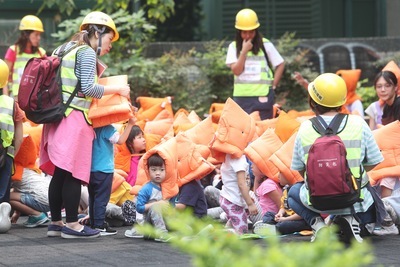 The reports said the affected production lines were in a 12-inch wafer plant located in the Hsinchu Science Park, a 12-inch wafer plant in the Central Taiwan Science Park and another 12-inch wafer plant in the Southern Taiwan Science Park. The three plants are TSMC's bases for applying advanced production technology to roll out high-end chips. TSMC denied the incident was caused by any hackers. TSMC said the losses resulting from the virus attack are limited, so it is not necessary for the company to hold a news conference to detail investors based on the current law. The company only needed to post a written statement about the incident on the TWSE website. The TWSE said that after the virus attack surfaced, the exchange made immediate contact with TSMC to gain an understanding of the situation. Under the current regulations, losses incurred by a listed company that account for 20 percent of its paid-in capital or more than NT$300 million (US$9.77 million) are categorized as material damage and the company should hold a news conference to inform investors. TSMC is the most heavily weighted stock in the local market and any volatility in its share price is expected to impact the broader market. On Friday, TSMC shares rose 1.02 percent to close at NT$247.00 on the main board. Led by TSMC, the bellwether electronics sector ended up 0.80 percent and the benchmark weighted index on the TWSE closed up 0.76 percent.